Many people agree Christmas is the most awaited season of the year. Smart business owners have already planned their party months ahead. 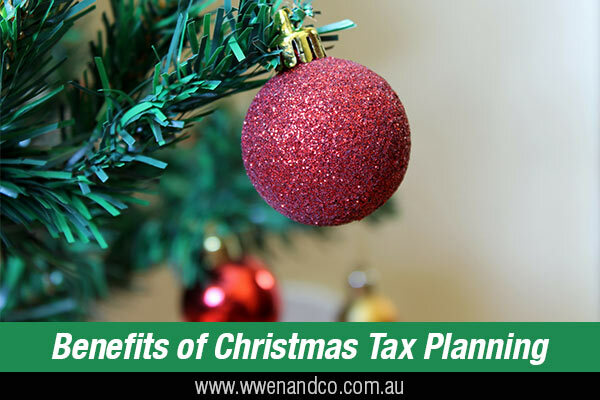 What’s more, really smart and experienced business owners plan not only the party but also plan their Christmas Tax ahead of time to eliminate unforeseen tax problems. That way, they know they can enjoy the season even more. Gifts to employees, their family members and clients. There is no separate FBT category that relates to Christmas parties. While such social functions may result in FBT, income tax and GST outcomes, these are covered under the existing relevant legislation. The provision of “entertainment” at Christmas, therefore, mirrors the tax treatment such benefits will receive at other times of the year. An expense payment fringe benefit (eg. reimbursing an employee for expenses incurred or paying an expense on their behalf). Typically, these benefits are valued for FBT purposes at their face value – an “actual basis” of valuation. However, an employer may choose to apply special valuation rules by using either the 50/50 split method or 12-week register method. Ask us about these two valuation methods and if they are suitable for your business. [hyperlink] If the employer does not make an election, the taxable value is determined according to actual expenditure. A “minor benefit” (more below). An exempt property benefit (see below) is provided at the employer’s premises on a workday. Has a notional taxable value of less than $300 (including GST). Is provided on an “infrequent” or “irregular” basis. A Christmas party held at the employer’s business premises on a working day where food and drink, including alcohol, is provided is generally deemed to be an exempt property benefit and is therefore usually FBT-free. This is no different to the occasional Friday drinks at work. It is provided to and consumed by, the employee on a working day and on the business premises of the employer. This exemption applies only to employees. Where members of the employee’s family (‘associates”) also attend a function (such as the Christmas party), the cost attributable to each associate is subject to FBT unless it is a minor benefit. If clients are invited to the function, the cost of providing the entertainment to these attendees is excluded from the FBT regime as this is not a “fringe benefit” to staff (and may qualify as a tax deduction — see below under “Gifts to clients”). As an employer, you may provide your staff with taxi travel or some other form of transport to get to the Christmas function. Taxi travel provided to an employee will generally attract FBT unless the travel is for a trip that either starts or ends at the employee’s place of work. If other forms of transport are provided to or from the venue, such as bus travel, then such costs will form part of the total meal entertainment expenditure and be subject to FBT. A minor benefits exemption for this benefit may be available if the threshold is not breached. Gifts provided to employees or their associates will typically constitute a property fringe benefit and therefore are subject to FBT unless the minor benefits exemption applies. Gifts, and indeed all benefits associated with the Christmas function, should be considered separately to the Christmas party in light of the minor benefits exemption. The income tax deductibility and entitlement to input tax credits (ITC) for the cost of the gifts depends on whether they are considered to be “entertainment”. For example, an unopened bottle of spirits is deemed to be a property benefit (the entertainment starts after the cap is removed). Again, in most cases the entitlement to an ITC for expenses incurred for the employer mirrors the income tax implications — so an ITC is only available to the extent that the expense incurred is deductible. If your business gives a gift a client, even a former client, the ATO confirms that such outgoings are generally deductible as they are being made for the purposes of producing future assessable income. However, the outgoing is not deductible where it is of a capital nature, relates to the gaining of exempt or non-assessable non-exempt income, or some other provision of the income tax law prevents it from being deductible.